Are retailers committed to mobile loyalty? By utilizing mobile and digital channels to their full extent, organisations can beat out their competition and retain their customers. Inherently fickle and prone to spreading their spend across multiple brands, customers can be hard nuts to crack when it comes to loyalty. Adam Croxen, Managing Director of Future Platforms shares his insight on how, with the right mobile and digital channels, you can conquer the road to retention and leave competitors in the dust. Recent research revealed that some £6 billion worth of rewards in the UK are floating – unclaimed and unspent. This massive accrual points to the fact that something is fundamentally wrong with the loyalty experience. Many brands are just not getting it right. With the potential that mobile and digital channels bring to the loyalty table, it doesn’t have to be this way. Moreover, when you take into account the results of our research, which show that the majority of consumers are ready for mobile loyalty, then some serious questions come to the fore: Why are retailers falling short? Are brands committed to their loyalty programme? Do they even want to succeed with their loyalty scheme? In a highly competitive environment, where price comparisons and competitor initiatives are delivered to the smartphone to easily tempt a sale away from your tills, then anything that helps establish ongoing customer relationships and retention should be a no brainer. With the ephemeral nature of loyalty, where customers invariably and regularly ‘cheat’ on their preferred brands, retailers need to work harder and smarter to convince customers to stay with you or come back. On average, it’s five times more expensive to acquire a new customer than it is to retain an existing one. Therefore, when faced with a retention-versus-acquisition dilemma, the solution should be pretty straightforward. In order to develop your mobile loyalty strategy appropriately a brand should look to understand what today’s consumers expect or need from a mobile experience before assuming that mobile loyalty is a ‘one-size, fits all’ affair. We know that increasingly, customers are showing loyalty to brands that have smart technology, that offer simplification, clarity, personalisation and a seamless experience across multiple platforms. Our research flagged up two stand-out players in the loyalty space: John Lewis and Starbucks. From logging on to purchasing (whether in-store or online) with John Lewis, there’s a comprehensive journey and a collection of history all gathered together in one place. With Starbucks, you have the ability to load up an account, use that money to pre-order a coffee, walk in and pick it up. What’s so significant about these? Aside from removing the friction of the experience, cleverly amalgamating the loyalty offering with delivering service capabilities achieved better adoption against other brands that rolled out separate apps for each aspect. At best, separate apps can cause disgruntlement, even despondency with customers. For the retailer, the repercussions are potentially costly as this makes it difficult to extract and understand the loyalty and purchase cycles of their customers. This is one reason why leaders in loyalty are developing and succeeding in creating an omnichannel experience and mobile loyalty strategy. As opposed to the traditional, passive approach, they identify customer behaviour (such as frequency and spend metrics) and – adopting a ‘how can I service my customer’ culture – actively tailor the rewards accordingly, which can deepen customer engagement. 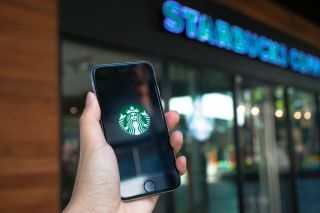 As our research indicated, the likes of John Lewis and Starbucks are strong performers in this respect and both successfully demonstrate how they blur the lines between service and loyalty to create an all-in-one experience in which the user can benefit. Our research also highlighted a large number of loyalty offerings that were far less than stand-out, still rolling-out disjointed and ill-conceived approaches to loyalty. With so many loyalty initiatives falling short for consumers, it raises an interesting question as to whether retailers are really one-hundred percent invested in the sentiment behind rewarding loyalty. Let’s face it, redemption of that £6 billion in unused loyalty would make a hefty dent in the bottom line. Retailers need to decide whether they are on board with loyalty and truly want to reward the customers that consistently spend with them. Just as they have developed platforms that make it easy for consumers to spend, they also need to invest the same effort in building an offering that enables retailers to give back to their valued and hard-earned customers. There’s no doubt that there is an appetite for loyalty schemes but, if retailers are not committed to making loyalty transparent, easy to use and accessible through your mobile, then they run the risk of other players out there that will, opening up the potential for market disruption. Evidently, antiquated approaches to loyalty are jarring with many consumers: there was a time for cards and stamps and coupons, but the friction of the purchasing and loyalty processes, as well as the disjointed experience they create, has triggered frustration amongst many, whose wallets are bursting with redundant plastic cards – 40% of which are left at home. Providing proof of the upswing in mobile usage, research from the Centre for Retail Research found that 50 per cent of UK users now make regular purchases with their Smartphones (which are now the UK’s most-used internet devices), even if there’s a store nearby. This propensity to use mobile devices shows no sign of abating either, a conclusion bolstered by PayPal’s Mobile Global Snapshot Report that revealed m-commerce as an industry has grown by 42 percent since 2013. Additionally, a research study by mobile technology provider Veoo found that 1 in 3 UK consumers use loyalty schemes that are integrated into their mobile phones. That said, the UK falls way behind the US where 48 per cent of consumers use the wallet function on their mobiles – due in part to the fact that UK retailers are comparatively slow off the mark to offer mobile loyalty schemes, opting instead for the antiquated programmes. 2. Adopt a ‘how can I best service my customers’ needs’ view. The brands really taking a view of 'how best can I service my customers needs' are those most successful in gaining increased levels of adoption. Removing the friction from an instore experience - whether that be alleviating the need for queuing, or ensuring receipts are in one place, regardless of whether the purchase was instore or online - provides huge benefit to a consumer, ensuring continued use of the digital services. With mobile devices ever-present amidst the majority of consumers, retailers have an opportunity to capitalise: some of the physicality can be simply digitalised – but there’s no need to overcomplicate a loyalty programme either. Lack of clarity on the value of points and convoluted redemption processes have undoubtedly contributed to this £6 billion worth of unclaimed rewards. Redemption should and can be easy. Transparency in this respect is important, and mobile presents a great opportunity for businesses to offer customers more clarity. The good news is that the experience for the consumer can be eased and enhanced without having to go too far with the technology. For instance, consumers can be reminded to collect via the use of beacons, so as to ensure they make use of their rewards, which in turn will make them feel the value. It becomes a frictionless process; they have the mobile with them, their knowledge and understanding of how or when to redeem rewards is heightened and overall, it feels more oriented around the user, as opposed to the business. When it comes to headline technology for loyalty programmes, beacons offer a stand-out solution in the physical retail environment. Adoption has been slow, but this is in part because not many physical retailers have got a compelling app strategy. But in order to seek the right solution for you, focus must firstly fall on the customer and the service that you offer them, and then you can hone in on the operational opportunities that the technology presents. I think part of this digitalisation of retail has significant operational opportunities in terms of getting the business to work more efficiently, and identifying cost-savings by having better data from their customers. Once you’ve decided on which technology to adopt, you can then explore what the stores can do with it too. Retailers already have a lot of information about customer flow, but beacons, for example, can supercharge this knowledge by getting granular about who’s moving around the store in what way. You can layer the information too, looking at purchase activity or what the customer has done online – and this presents a powerful picture of different customers’ behavioural patterns. The data can then be analysed, information about what’s going on in that business can be extracted, and you can explore how to better support the customer – this could be in terms of store layouts, till positioning, placement of staff – or even increases or reductions to staffing levels. All this will help to reduce costs and drive efficiency. By getting your digital and mobile channels to work transparently and seamlessly, as they should, you open up the opportunity to capture the consumer’s attention and make it easier for them to claim their rewards. Subsequently, you stand a stronger chance of driving customer retention. The reluctance from some brands to implement this level of transparency perhaps leaves a question mark hanging over their intentions…but it also means there’s one less competitor on the track.